Like a suit of armor, our RFID blocking bi-fold wallet is a feat of design. Our proprietary nylon microfiber keeps this wallet thin and a layer of RFID blocking material inside the wallet protects you from would-be identity thieves. 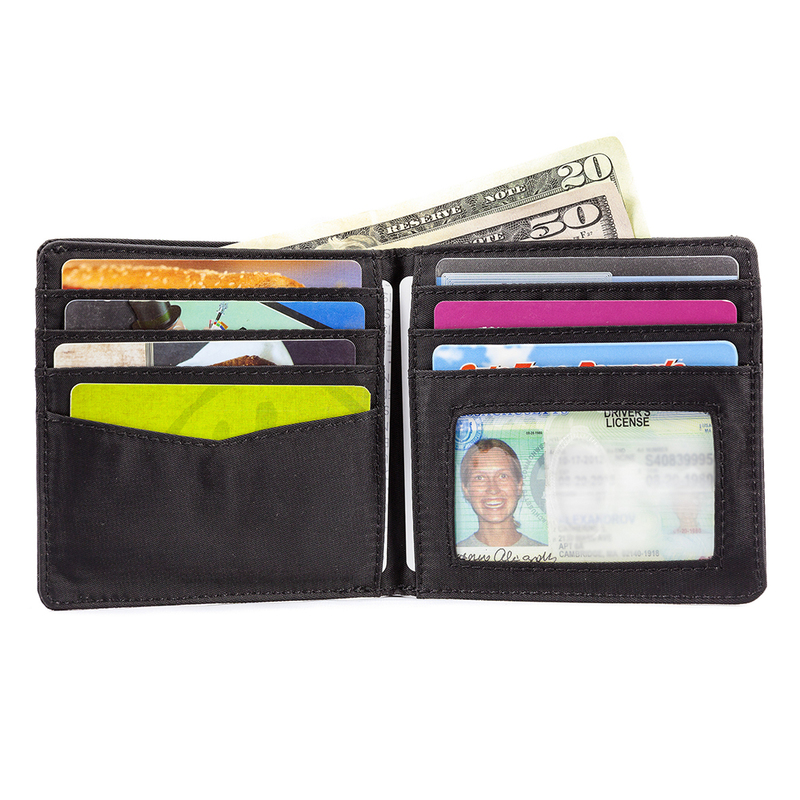 This machine-washable nylon bifold is one versatile, sporty wallet. Full-sized billfold area and card pockets are lined with non-slip interior to prevent cards/cash from falling out. Capacity: about 20-25 plastic cards plus cash. London’s big size pound notes pay for breakfast at Brown’s…then a quick jaunt over to the continent paying for a late lunch at Les Ombres in Paris with those large euronotes…and then giving some of your spare old tall rupees to your lunch partner who is taking the late afternoon flight to New Delhi. All these bills and all world currencies fit nicely in this tall, thin bi-fold wallet without folding them over or down. And this thin b-fold wallet is almost a perfect 4” by 4” square, which of course, is very cool and something you’ll bring up when you are buying drinks later that evening with Madame Bovary at the Ritz who wants to know all about your Big Skinny bi-fold wallet…and why your wallet holds so much yet stays so thin and light…she doesn’t think she’s met another tall, dark, and handsome wallet like it anywhere else in the world…Holds up to 30-35 thick plastic cards plus your worldly cash. Features: full-size extra-tall billfold area 6 extra-wide credit card pockets 1 extra-wide clear ID/credit card pocket 2 oversized hidden storage pockets dimensions: 4¼" wide x 4" tall (10.8 cm x 10 cm) only ⅛" (4 mm) thin when closed! I stuffed a considerable amount of cards into my big skinny that I had in my oversized leather tri-fold wallet and the skinny was still skinny. It feels great being able to sit normally now and not have to sit tilted to one side due to the enormously thick wallet I had before. Will never buy another wallet again except for the skinny. The World Wallet is the best wallet I've ever had! For me the size and layout is just right. I just took advantage of the holiday sale and bought a new one with RFID and it's arrived and just as good as the previous one. 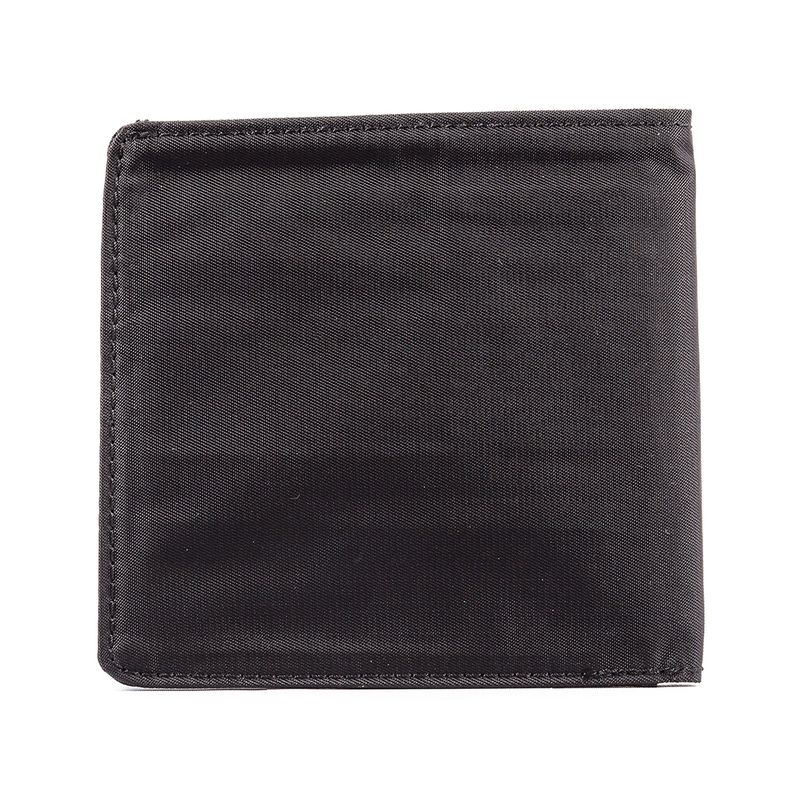 The RFID World Wallet without the change pocket is actually thinner than the World Wallet with the change pocket, even with the "thicker" RFID material. I am glad this wallet has been made available in Nylon, previously it's just been available in leather and I'm not a fan of later wallets. I made the switch to RFID because I've started frequently travelling internationally for work and wanted to add that extra layer of security. Pros- Thinness - High quality - I've been using Big Skinny wallets for the past 10+ years and been replacing them every few years, not because they have worn out or broke, because I wanted a newer wallet and different model. None of the past four wallets ever work out, they were all in good condition when I replaced them. I know I'm repeating myself, but these wallets are great and last a long time. The height of the wallet is considerable . When you put your money inside you can see it and have to dig inside. Had the smaller height big skinny wallet before and prefer that one. The RFID feels weird too. It feels bulkyish but its still a skinny wallet but the feel just feels weird. I bought one of these incredibly durable wallets about 6 years ago in Boston while walking near Quincy Market. I have had it stuffed with credit cards and all the other plastic that we carry these days to be a consurmer in the US. Never have I had a leather wallet stand up to the beating that this nylon wallet gets and show absolutely NO signs of wear!!! These wallets are SUPERB!! Pros1. 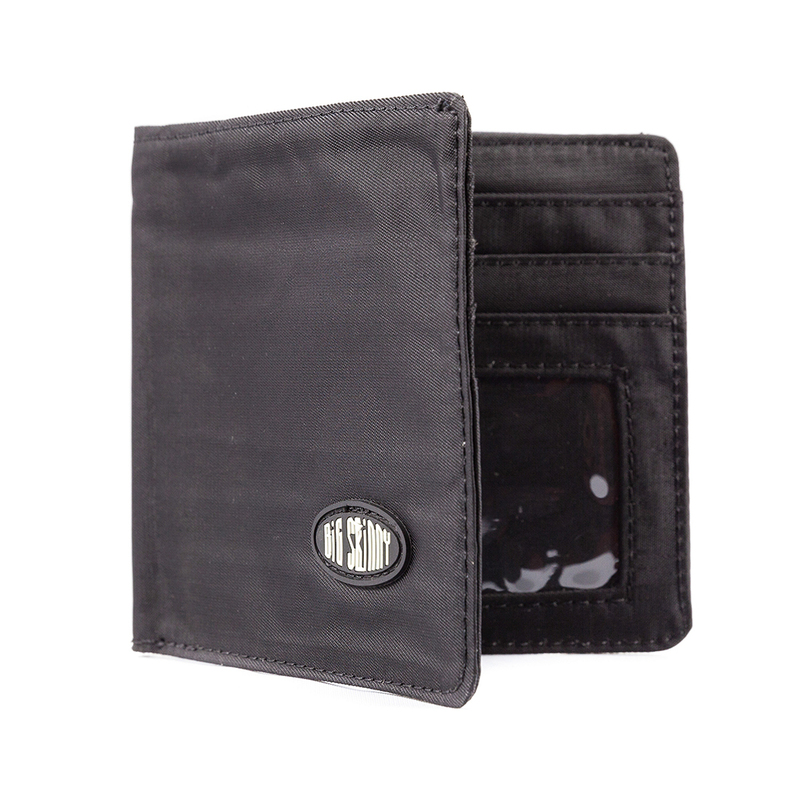 Holds as man as 20 or more cc's, debit cards, store cards and other miscellaneous cards. 2. Will last longer than I will. 3. Looks like new after 6+ years. 4. Great value.